The theme for the 2019 National Volunteer Week is Celebrate Service. The LTCOP could not be its best without the volunteers who help carry out the mission of advocating for long-term care residents. Thank your volunteers and recognize their work publicly by sending NORC brief messages of appreciation for their dedicated advocacy (e.g., examples of their advocacy, years of service, photos). We will post your message on our website and highlight the submissions on social media. Email your submissions to ombudcenter@theconsumervoice.org. Gloria Murray is the Ombudsman Program Director for the Hudson Valley Ombudsman Program in New York State. Below is a sample of the email she sent to their group of volunteers, thanking them for making a difference in the their program and in the lives of older adults residing in long-term care facilities. The Ombudsman Program of the Clearfield County Area Agency on Aging, Inc., recognized the PEERs (Pennsylvania Empowered Expert Residents) at the DuBois Nursing Home. Their photo appeared in the local newspaper. Thirteen residents of the DuBois Nursing Home were recently honored for their volunteer service in recognition of National Volunteer Week, April 7-13. All residents completed a 10-hour training session to become Pennsylvania Empowered Expert Residents (PEER) with the Pennsylvania Department of Aging's Ombudsman Program. They learned to advocate for themselves and their fellow residents and concluded a minimum of one year's service at DNH. Ombudsman Jeanne Urban presented each PEER with a copy of N. Jean Dobay's book, Turning aWarehouse into a Community: A Story of Humanity. It is the story of how one resident's ideas sparked action that forever changed the nursing home industry and created a true home for 450 long-term care residents. 1st Row: PEERs Bob Roush, Joanna Frederick, A. Jayne Tucker, Alice Marvin, Nora Marie Davis, Joseph Roy &; Doris Broomall. Diana Davis, a resident of the DuBois Village Personal Care Home, was recently honored for her volunteer service in recognition of National Volunteer Week, April 7-13. Diana has previously completed a 10-hour training session to become Pennsylvania Empowered Expert Residents (PEER) with the Pennsylvania Department of Aging's Ombudsman Program. She learned to advocate for herself and for her fellow residents and concluded a minimum of one year's service at DuBois Village, where she is actively involved in the resident council. Ombudsman Jeanne Urban presented Diana with a copy of N. Jean Dobay's book, Turning a Warehouse into a Community: A Story of Humanity. It is the story of how one resident's ideas sparked action that forever changed the nursing home industry and created a true home for 450 long-term care residents. 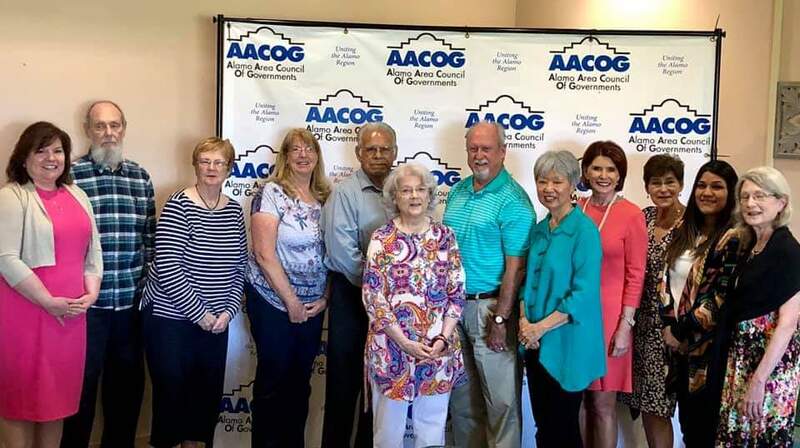 Shazia Sultan, MPH, Managing Local Ombudsman, Brazos Valley Council of Governments (BVCOG), created this video to thank her volunteers. What is your program doing to recognize the volunteers who give their time to visit and advocate with and for individuals that live in long-term care facilities? The week of April 15 to 21, National Volunteer Week, is a perfect time to reach out and say thanks for volunteering with your program and making a difference in the lives of the residents. 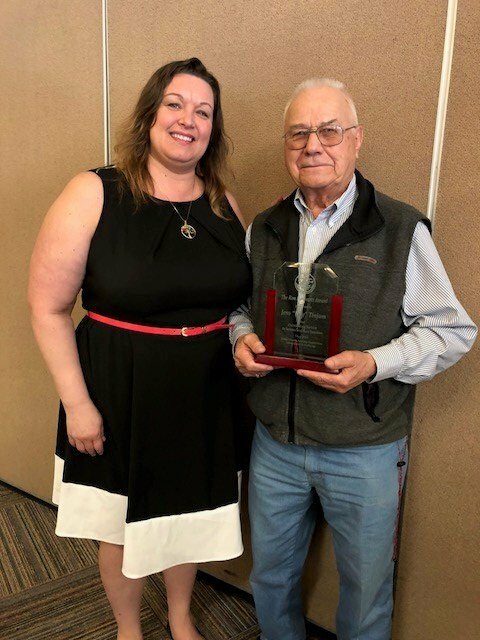 We are proud to share pictures of our own Long-Term Care Ombudsman volunteer, Ray Tinjum, as he accepts the Ron Hammett Award for Outstanding Service to Seniors! 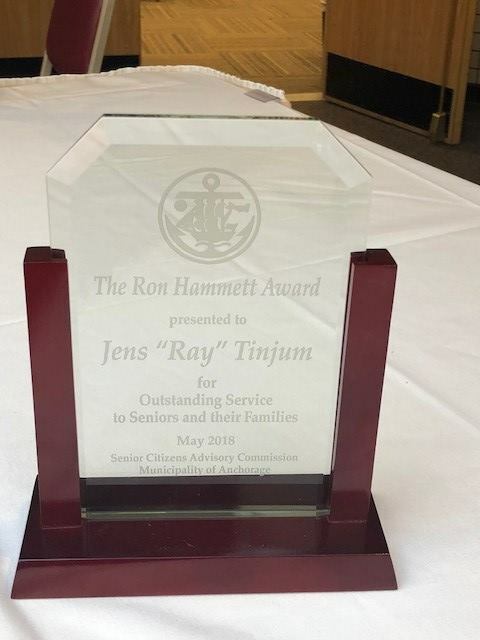 This prestigious award is presented by the Senior Citizens Advisory Commission, Municipality of Anchorage. Ray is pictured below with Theresa Brisky, RN/Administrator of Marlow Manor Assisted Living Facility where Ray volunteers as a resident advocate. Here are the current ombudsman volunteers with the Area Agency of North Idaho. Some of the volunteers are new this year and some have been with the program as long as 5 years. Each volunteer is assigned to a facility and each is doing an outstanding job of advocating for the residents! I don't know what I would do without my buddy (ombudsman). She comes to check on me and if things aren't going right I can depend on her to help me get it worked out. I don't have any family around here. He's just about the only person who comes to visit me. We've got a lot in common. We both like the Wildcats (UK) and grew up around the same place. He's good to talk to. Hear Doris talk about her experiences below. We have given a luncheon for our agency Volunteers. The event was held on April 19th at the Fort Sam Houston Golf Course in San Antonio, Texas. 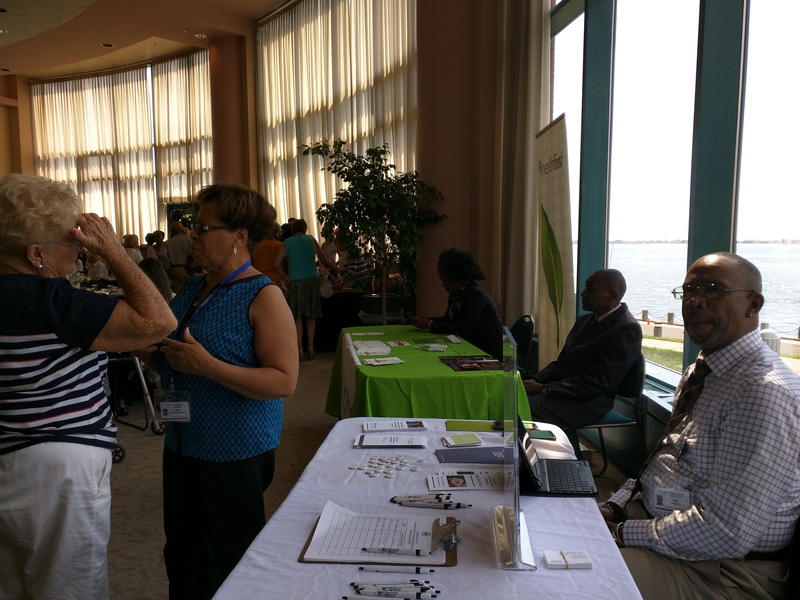 We had a keynote speaker and at the end of the event we handed out gifts of a new briefcase for their use with their volunteer position. They also received a thank you card with a 50th anniversary Fiesta Medal inside. 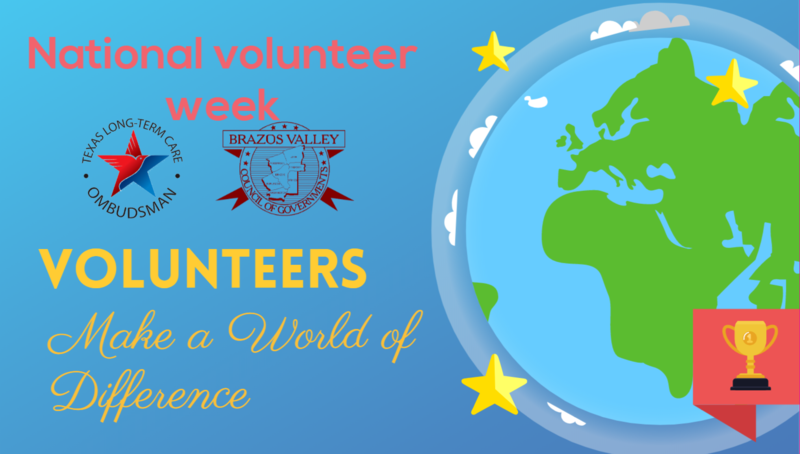 The week of April 23 to 29, National Volunteer Week, is a perfect time to reach out and say thanks for volunteering with your program and making a difference in the lives of the residents. 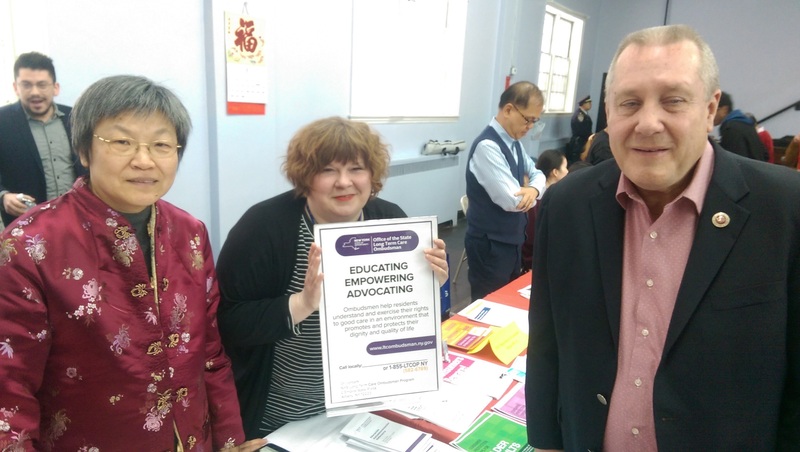 NORC encouraged ombudsman programs to thank their volunteers and recognize their work publicly by sending brief messages of appreciation for their dedicated advocacy (e.g. examples of their advocacy, years of service, photos). The messages are posted on this page of the website and will be highlighted on social media. Email your submissions to ombudcenter@theconsumervoice.org. Each year our the New York City Ombudsman Program acknowledges the important contributions New Yorkers make to the city through their service. The New York LTCOP is proud to announce the names of Long-Term Care Ombudsmen who have been awarded the Mayor’s Service Award for 2016 this April 2017. Many of these volunteers have helped with systems advocacy, mentored new volunteers, served 100 plus hours, and all have consistently advocated for their residents. This entire section will be implemented in Phase 1. This award is being presented this April 2017. Below are photos of some of the ombudsmen doing outreach and one of Ira Walkenfeld receiving his 2016 President's Volunteer Service Award at the 2016 Volunteer Appreciation Event on December 10, 2016. The appreciation event is held every year in December. The LTCOP also offers an Ombudsman of the Month Award. 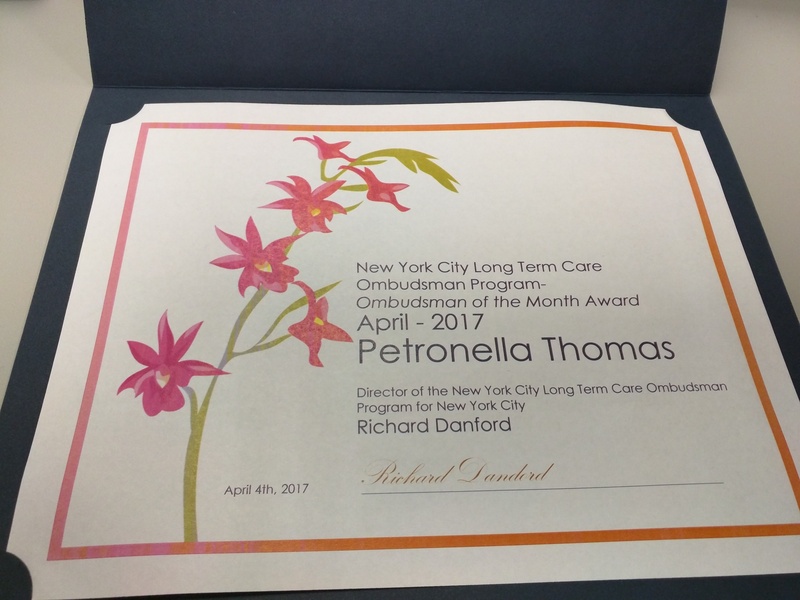 Below is also a photo of the award for Manhattan ombudsman Petronella Thomas for April. "I would like to thank Cecil County’s Volunteer Ombudsman, Rhonda Combs, who has been volunteering for just over 1 year. She has completed all required Tier 1 & Tier 2 trainings, attends extra trainings with myself, and is involved with the community by attending an Inner Agency Roundtable meeting each quarter. Most of all she displays dedication, consistency and trustworthiness as she visits and advocates for the residents in one nursing home and two assisted living facilities. I have benefited from her professionalism and her wealth of nursing knowledge. The local Ombudsman program has risen to a new level of effectiveness. - Sincerely, Dianne Croom"
On April 24, 2017, volunteer Ombudsman Arthur Lappen was selected to represent the Washington, D.C. metropolitan area on Cabot's Community Celebrity Cruise in early June. The Alaskan cruise will celebrate more than 60 "Community Celebrities" nationwide whose volunteer work has made a substantial impact on the lives of others. For more than 20 years, Lappen has been a volunteer advocate for the Montgomery County Long-Term Care Ombudsman Program in Maryland, working over 5,000 hours of service and making 2,500 regular visits to residents. Long-term care residents across Montgomery County know Lappen as a reliable, devoted advocate who is driven by a passion for positive change. His wife Margie will join him on the cruise soon after their 51st anniversary celebration. 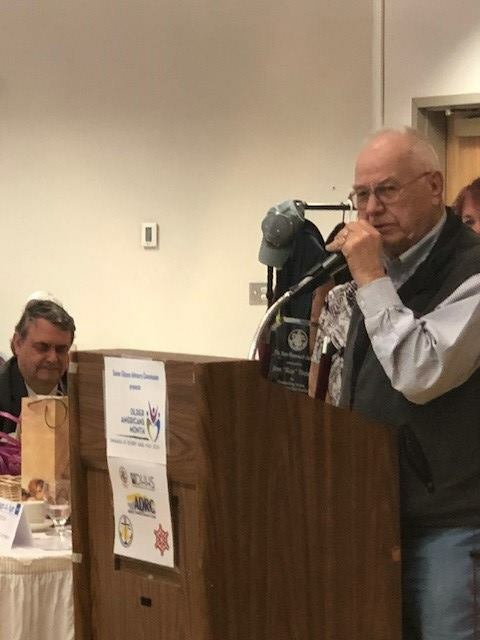 Eileen Bennett, Program Manager of the Montgomery County LTC Ombudsman Program, stated that the program is thrilled to see Lappen's hard work being celebrated along with so many other honorable volunteers. To read more about Arthurt Lappen and the seventh annual Cabot Community Celebrity Cruise, click here. 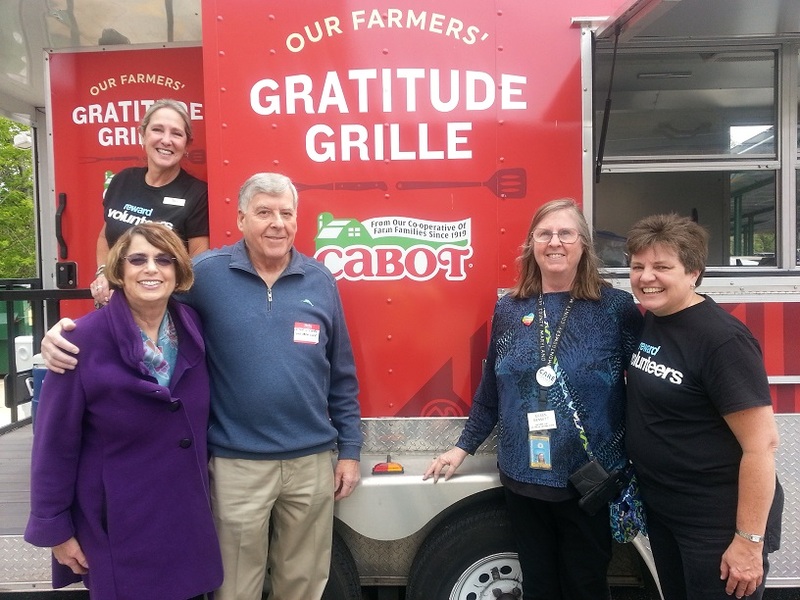 Photos from the Volunteer Appreciation event Sunday, April 23, 2017 where Cabot Cheese Gratitude Grille prepared and provided the lunch for programs and it was announced that through competitive nomination the ombudsman volunteer, Arthur Lappen, was selected to be the DC Metro area representative on a cruise to Alaska along with other regional volunteers across the country. 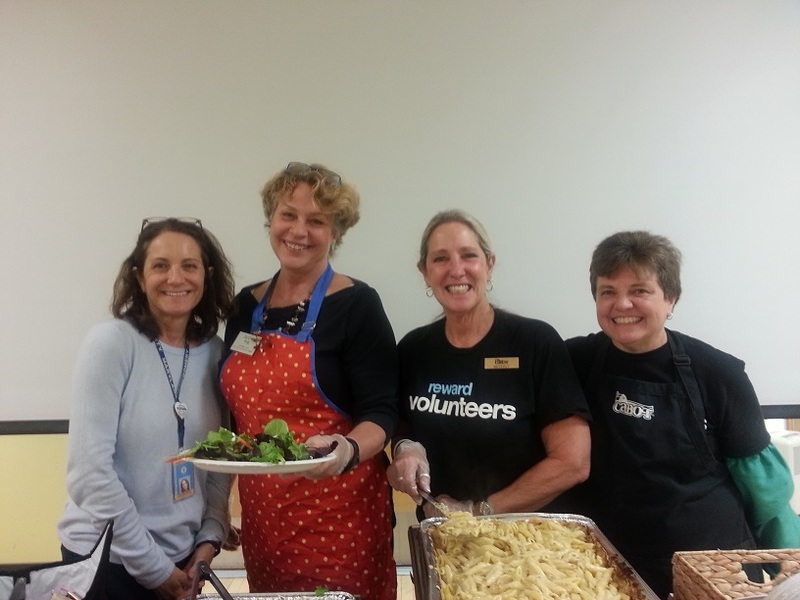 "We always have a Volunteer Recognition Luncheon every spring at a local restaurant. This year there will be 12 volunteers attending. We have a budget, of course, but we choose a place where we can easily converse with one another, that serves great food, and makes a special effort to support the recognition. While all the volunteers are recognized, there are two that deserve special recognition. Martin Petersen has been with the program since 2010. He has a big heart and an energetic personality. He makes the residents laugh, shows special interest in each one, and is effective in solving problems. He is our only volunteer that is assigned to both assisted living and skilled nursing facilities. Paulette Anderson has been in the program since 2012. She, too, has a big heart and gets to know the residents well by spending ample time with each one listening to their stories and concerns. Paulette is assigned to an assisted living facility with three houses. Both ombudsmen have been consistent in visiting, and dedicated to advocating for resident rights, quality of care and quality of life for all the residents they serve. We’re honored to have them on our team of exceptional volunteers. - Jan Noyes"
The Ohio Long-Term Care Ombudsman Program recognizes their volunteers during statewide continuing education. There are 25 volunteers with at least 100 hours of service. These volunteers will receive pins and a letter from the Governor. "As State Ombudsman for Minnesota , myself and all staff officially thank MN Certified Ombudsman Volunteers and honor you. The words are somewhat hard to find to express our gratitude to you for choosing to join our statewide network of leaders and advocates working to improve the quality care and quality of life for elders needing long-term care services. Thank you for the many hours you give making site visits, meeting with residents, and attending trainings. Thank you for your enthusiasm, your willingness to keep learning about long-term care by attending regional trainings. You are truly life-long learners. Thank you for your patience with government bureaucracy which manifests itself in rules/policies/procedures, etc. and many documentation requirements. 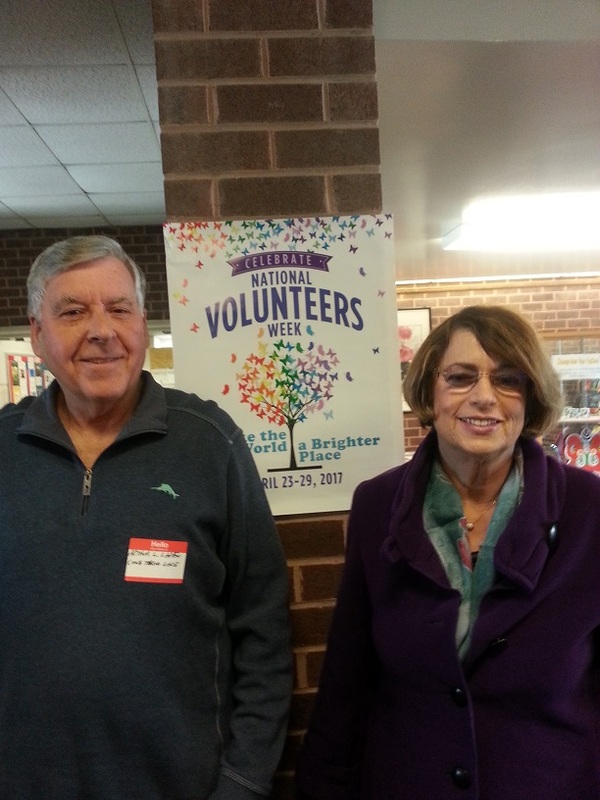 MN Volunteers have helped us reach compliance with new Ombudsman Federal Regulation. You choose to work to help long-term care residents when there are many other, probably more glamorous or “easy” volunteer opportunities available to you. Many people are hesitant to step inside a long-term care setting. Nor do they want to confront their own aging. It would be easy to choose to ignore persons who are losing their independence. You serve the important role as the eyes, ears and voice for people, who need help and support to make their needs known or express a concern, and for those who simply can’t speak for themselves any longer. Your role is increasingly recognized by state and federal policy makers, legislators, and long-term care providers as a critical part of the quality assurance system to protect vulnerable adults. Everyone recognizes that rules, regs and inspection are necessary, but not sufficient to assure best practices are carried out. Long-term care settings are striving to continually improve quality. A change in culture , perception , and attitudes towards aging is necessary and relies on all citizens to create community awareness. Any long-term care setting is a part of a community just like all other living establishments that make up neighborhoods all across the country. This is what you as MN Ombudsman Volunteers provide with each and every visit made to a long-term care residence. Armed with knowledge and compassion you create awareness of what is expected and what is unacceptable and will not be tolerated. To all MN Certified Volunteers , I want to thank you especially for your compassion. What you truly mean to the residents you visit on a regular basis is more than you may know. Minnesota State Long-Term Care Ombudsman"
Volunteer Ombudsmen in South West Washington. Douglas Samuels, Volunteer Ombudsman, and top winner of volunteer hours in 2016 with 581 hours served. 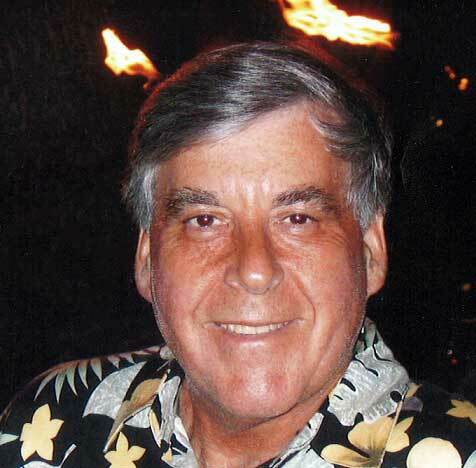 Douglas visits four assisted living and several adult family homes, and serves on our advisory committee as well. Rose Robison, Volunteer Ombudsman, and top winner of all-time volunteer hours with 3138 hours served. Rose is 86 years young, has been a volunteer since December of 2001, and regularly visits one assisted living and multiple adult family homes. Our annual recognition luncheon this past January, with 24 out of 32 volunteers attending. 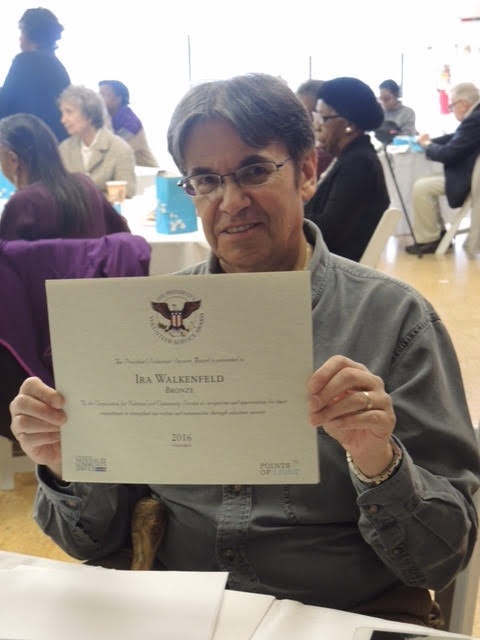 Each volunteer received a certificate for time served, a thank-you card with gift card included, as well as participation in a raffle of many donated prizes. Our volunteers in 2016 donated a total of 4763 hours! 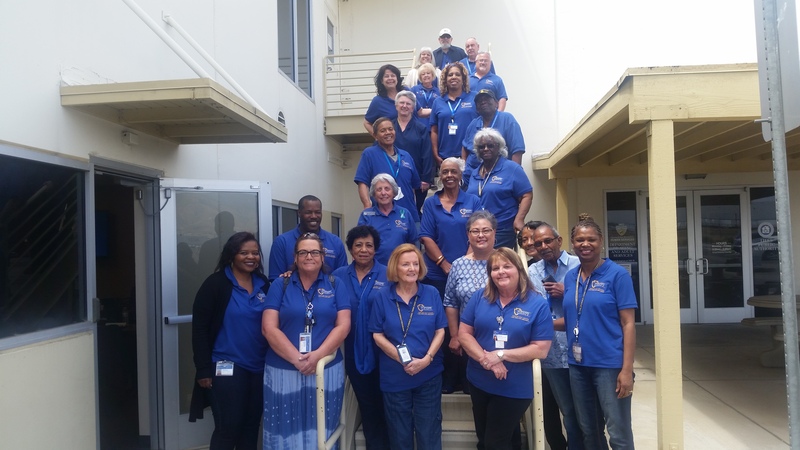 The San Bernardino County Long-Term Care Ombudsman Program would like to thank our highly-trained volunteers who continue to respond to the needs of residents living in skill nursing homes, residential care facilities and assisted living. These volunteers remain steadfast in their advocacy efforts to provide key services that make a difference in the lives of the residents they serve.